Does the bank secrecy law really protect ALL of Corona’s dollars? Everyone assumes that all the US dollars that Chief Justice Renato Corona stashed in banks are covered by the bank secrecy law. Let me offer the theory that they might not be ALL covered and the Senate impeachment court can legally look into them. Yes, I know I am a mere reporter with no formal training in law. But I’ve had the experience of watching senators up close while they crafted our nation’s laws. And as a business reporter, I’ve covered retail banking. Anyway, this week I ran these ideas past two high-level bank officials. None of them wanted to be identified (I wonder why? ), so let’s just call them Banker A and Banker B. However, what they told me are all verifiable. The mother law is Republic Act No. 6426 or An Act instituting a foreign currency deposit system in the Philippines, and for other purposes. RA 6426 has no section defining what constitutes “foreign currency”. However, it has three sections that suggest the definition by stating how banks are supposed to treat “foreign currency”. Once you give money to the bank, the bank is indebted to you as a depositor. This is the relationship – the bank is borrowing from you in the form of a deposit. For that debt they will now pay you a certain amount of interest. In other words, Section 6 gives all “foreign currency” deposits a 100 percent tax break. Section 9. Deposit insurance coverage. – The deposits under this Act shall be insured under the provisions of Republic Act No. 3591, as amended (Philippine Deposit Insurance Corporation), as well as its implementing rules and regulations: Provided, That insurance payment shall be in the same currency in which the insured deposits are denominated. In other words, foreign currency deposits are insured by PDIC. Please note the phrase here – “all foreign currency deposits authorized under this Act”. And those that are insured by PDIC. Why do I bring up these fine distinctions? Because since RA 6426 came into law in 1974, banks have dramatically expanded the array of foreign currency products they offer their clients. These are aside from the traditional savings, current and time deposits that were envisioned to be covered by RA 6426. Today, clients can park their dollars in sovereign bonds, in commercial papers, unit investment trust funds (UITFs), mutual funds – all denominated in dollars and which are not tax-free and are not insured by the PDIC. Why would a depositor want to move away from plain vanilla dollar accounts? One reason would be: Because the interest rate on dollar savings and time deposits are terrible. According to Banker A, a US dollar time deposit now earns 0.25% per year. A US Treasury Bond earns 2% per annum. While a US dollar-denominated ROP (Republic of the Philippines) five-year bond can earn from 2% to 2.5%. In such transactions, “we merely act as a broker,” Banker B told me. From this, we can see that if the client wanted to put his or her dollars to work earning something more than the miserable interest on time and savings deposit accounts, then investing in these products would make sense. Banker B also explained that while even mutual funds can now be bought through banks, these money market instruments are actually regulated by the Securities and Exchange Commission. In this case, the banks merely serve as “brokers” for these products. In the case of such products, the bank has no customer liability, Banker B said. The bank doesn’t pay interest to the customer. Rather, it is the customer that pays the bank a transaction fee for arranging the buy and doing the paperwork. In such arrangements, the bank usually asks the customer to designate a particular bank account (either savings or current) as the “settlement account”. When the customer wants to liquidate the UITF or when a commercial paper or bond reaches maturity, proceeds including the interest earned from such products are deposited in this settlement account. Iba nga talaga. Kasi hindi siya deposit. Hindi siya covered ng PDIC. Pag bumili ka ng bond, wala naman sa amin ang bond. You house it at a third party. We only facilitated. We act as a broker. Halimbawa kung ikaw kliente, magpabili ka ng stocks, I give you confirmation of sale that you bought 10,000 shares. I deliver the receipt. Babayaran mo ko. Kukunin ko commission ko. That money goes to the central depository (PCD). Pag nagpabenta ka. Ibibigay mo ang instruction, pupunta (yung instruction) sa broker. Kukuhanin namin shares sa PCD, ito ang pang-settle. Parang nagkaliwaan lang kayo. From covering retail banking, I’ve also noted that while banks like PSB do not offer certain investment products, as its president Pascual Garcia III testified today, they do routinely refer their customers to the head office of the mother bank, in this case Metrobank. Such referrals are coursed through the retail bank like PSB which then transacts with the head office or mother bank and charges a transaction fee for this service. Because of this, it may be necessary for the Senate impeachment court to ask Metrobank and Bank of the Philippine Islands head offices whether CJ Corona has “foreign currency” investments with them. And not just dollars because some banks now have expanded their foreign currency-related transactions to euros and even yen. An hour ago, Osmeña asked PSB president and CEO Garcia whether dollar bonds could be classified as deposits under RA 6426. Is my theory valid or plain hogwash? If valid, can the Senate impeachment court now ask the banks to disclose any and all dollar transactions of CJ Corona revolving around such products? I believe that the moment an amount of foreign currency deposit from CJ Corona left the safe haven of savings and/or time deposit it loses the umbrella of confidentiality during that period. And these become legitimate subjects of inquiry by the Senate impeachment court. For this piece, I had tried to interview a well-known lawyer who teaches banking law. But he declined to speak to me. Likewise, I tried to obtain an interview with officials of the Bangko Sentral ng Pilipinas but no one would talk to me. Because of this, I have decided to throw my questions to the public and see that maybe, just maybe, some lawyers and banking experts will respond and share what they know. Section 2.Authority to deposit foreign currencies. – Any person, natural or juridical, may, in accordance with the provisions of this Act, deposit with such Philippine banks in good standing, as may, upon application, be designated by the Central Bank for the purpose, foreign currencies which are acceptable as part of the international reserve, except those which are required by the Central Bank to be surrendered in accordance with the provisions of Republic Act Numbered two hundred sixty-five (Now Rep. Act No. 7653). (5) To pay interest in foreign currency on such deposits. Section 5.Withdrawability and transferability of deposits.– There shall be no restriction on the withdrawal by the depositor of his deposit or on the transferability of the same abroad except those arising from the contract between the depositor and the bank. Section 7. Rules and regulations. – The Monetary Board of the Central Bank shall promulgate such rules and regulations as may be necessary to carry out the provisions of this Act which shall take effect after the publications in the Official Gazette and in a newspaper of national circulation for at least once a week for three consecutive weeks. In case the Central Bank promulgates new rules and regulations decreasing the rights of depositors, rules and regulations at the time the deposit was made shall govern. Section 10. Penal provisions. – Any willful violation of this Act or any regulation duly promulgated by the Monetary Board pursuant hereto shall subject the offender upon conviction to an imprisonment of not less than one year nor more than five years or a fine of not less than five thousand pesos nor more than twenty-five thousand pesos, or both such fine and imprisonment at the discretion of the court. Section 11. Separability clause. – The provisions of this Act are hereby declared to be separable and in the event one or more of such provisions are held unconstitutional, the validity of other provisions shall not be affected thereby. Section 12. Repealing clause. – All acts, executive orders, rules and regulations, or parts thereof, which are inconsistent with any provisions of this Act are hereby repealed, amended or modified accordingly, without prejudice, however, to deposits made thereunder. Section 13. Effectivity. – This Act shall take effect upon its approval. just heard argument of sen.guingona about mutual fund of cj not being covered by bank secrecy law. and now he’s asking to subpoena the account. seems your critical analysis/idea made its way to the senator-judges. Whatever would be the final decision on the Chief Justice’s dollar account or accounts, Corona is finished. 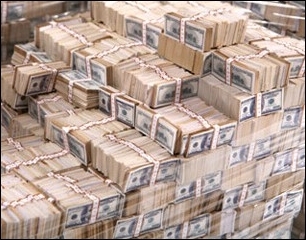 What has been revealed in the impeachment court was that as of Dec. 31, 2010, Corona had about P32 million in the bank. Corona stated in his statement of assets, liabilities and net worth (SALN) for 2010 that he had only P3.5 million in cash and investments. The huge discrepancy is glaring proof of dishonesty. may sasabihin ako ,,ako ay hindi maka marcos o maka aqiuno sasabihin kolang ang nalalaman ko ..para sa mga sennior citizen na kagaya ko natatandaan ba ninyo yung nasa diaryo na mga muslim na sumuko na nakalitrato sa diaryo hindi ito muslim.ito rin ang mga tao na nag rally sa monumento na pumatay at nanggulpi ng mga estudiante dahil tuwing nasa diaryo itong kilala ko ay ipagyayabang ang litrato sa diaryo .kaya kayo huwag kayong basta basta naniniwala sa mga diaryong nababasa ninyo.pero kay raissa ay paniwalaan ninyo dahil fair ang sulat niya maypaliwanag at ebidensya. The Truth will lose you, “your very lucrative’ job..! MANILA, Philippines – A “politically exposed person” or PEP is a current or former senior official in the executive, legislative, administrative, military or judicial branch of a foreign government, elected or not; a senior official of a major foreign political party; a senior executive of a foreign government-owned commercial enterprise, and/or being a corporation, business or other entity formed by or for the benefit of any such individual; an immediate family member of such individual (including spouse, parents, siblings, children, and spouse’s parents or siblings); and any individual publicly known to be a close personal or professional associate. The definition is provided by the Paris-based Financial Action Task Force (FATF), which considers PEPs high risk in the financial regulatory environment. Over a decade ago, the FATF placed the Philippines on an international blacklist of money laundering havens, making financial transactions in the country difficult. The blacklist led to the passage of the Anti-Money Laundering Act of 2001 or Republic Act 9160. Among the predicate crimes excluded from the law are corruption/bribery, malversation of public funds, terrorism and terrorist financing. The FATF maintains a global PEP list that includes the profiles of PEPs as well as those of their family members and close associates. In accordance with FATF guidelines and in line with international best practices in dealing with money laundering, the Bangko Sentral ng Pilipinas (BSP) adopted a PEP policy. Last year the BSP issued Circular 706, requiring all banks operating in the Philippines to have a PEP policy in place. Those doing business with PEPs, particularly in private banking transactions, are required to apply enhanced due diligence. Heavy fines have been imposed on financial institutions that ignored the requirements on due diligence and “know your customer” procedures. “My God, it is the entire system that is an issue here. I am not against the examining if they comply with the law, but if they can look into the accounts of anybody in this country, then what (for) are the Republic Acts (RA) that impose secrecies on certain matters in this country?” Senate President Juan Ponce Enrile asked his colleagues during the morning session of the Senate yesterday. Was that JPE exclaiming ‘My God’? He sounded terrified and about to loose his life [savings]. IF JPE and his Senate peers DO NOT have anything to hide that is unexplained wealth not stated in the religious SALNs’ fulfillment, why panic? JPE has just made something obvious under pretense of citing Republic Acts 6426 and 1465? Does he too have unexplained wealth? Does he warrant an SALN investigation as well? JPE give some reason why you should be investigated by the BIR! The Senate wants a full-blown inquiry into the powers invoked by the Bangko Sentral ng Pilipinas (BSP) to justify its audit of the bank accounts of some individuals classified as “Politically Exposed Persons (PEP),” including Chief Justice Renato Corona, from September to November 2011. Senators have noted that there is no provision in the Anti-Money Laundering Act (AMLA) that allows the BSP to classify depositors as PEP. He said a depositor classified as such is vulnerable to unreasonable audit. TODAY (20 Feb. 2012) day 20 of the impeachment trial, SI Presiding Senate President JPE was questioning the PSBank Pres. Pascual Garcia. He was ‘leading’ the witness to insinuate (e.g. source of) that the AMLC and/or the Bangko Sentral ng Pilipinas may have something to do with the PS Banks documents reaching the House Prosecutors. Baka maya-maya, the SI might subpoena the AMLC and/or BSP officials to shed light on ‘the source’, or even perhaps ‘share’ on their investigations or audit reports done on the Corona’s accounts. Is the Senate-Judges fishing for the source (and rightly so), or are they better off just to focus on the Supreme Court’s TRO, Defense Contempt for allege Senate Judges bribery and evidences to accept from the prosecution on Article II? The Senate Impeachment is ‘sui generis, it is neither a Judicial proceeding nor an administrative case. The Senate is not co-terminus to a Judiciary where evidences and the merits thereof are appeal-able. Focus on the glaring breaches to the Judicial Code of Conduct, testimonies and evidences at hand. It is not a criminal textbook trial proceeding. IT IS JUST TO EXPEL the Chief Justice! Magisip kayo! MANILA, Philippines (3rd UPDATE) – The Anti-Money Laundering Council (AMLC) audited Chief Justice Renato Corona’s bank accounts in 2011, Philippine Savings Bank (PSBank) Pascual Garcia said on Monday. Testifying on day 20 of the impeachment trial, Garcia said the AMLC, with a team from the Bangko Sentral ng Pilipinas (BSP), asked for records of certain bank accounts, including those of Corona’s in 2010. “Is it possible that the record in question before us was accessed by the audit team?” Enrile asked. “I believe from the nature of the comment [of the audit team], they saw the specimen card or a copy of it,” Garcia said. The Senate, sitting as an impeachment court, tried anew to ferret out how the prosecution was able to secure a copy of the supposed dollar account of Corona. They are trying to check the source of the document, which will be relevant if the court will later rule on its admissibility as evidence as well as its impact on the subpoena issued by the court. If proven that the document came from the government, it will rightly fall in the exclusionary rule. The Bill of Rights, in particular Article III, provides that people should be protected against unreasonable searches and seizures. 1. Copy was made by audit team with consent of PSB liason. 2. There were old extra original signature cards because newer repacement cards were recently obtained so the PSB employee gave the one extra card to the auditors to make notes on it. On this old card notations of PEP and dollar deposit were written on. On Coronas’ BGEI Peso Deposits and luxury Condos. Rotting fish permeates the aura of the Senate Chamber, “Something is fishy here”, Sen. Angara said. MANILA, Philippines – Prosecutors believe Chief Justice Renato Corona made the “most outrageous and completely unbelievable excuse” when he claimed that the newly discovered multimillion-peso deposits in the Philippine Savings Bank (PSBank) under his name belonged to his wife’s corporation. House of Representatives Deputy Speaker Lorenzo Tañada, a prosecution spokesman, said, “It was obvious that Corona and his defense counsels were running out of alibis to justify the lawful source of the money he used to purchase condominiums and the existence of huge bank deposits. Corona and his lawyers were again employing the same “Galing Kay Misis” (from my wife) defense after the impeachment court uncovered his huge peso accounts in PSBank, Tañada said. Representatives Juan Edgardo Angara of Aurora and Romero Quimbo of Marikina, also prosecution spokesmen, expressed puzzlement that the money allegedly belonging to Basa-Guidote Enterprises Inc. (BGEI) was deposited in Corona’s account when his wife Cristina and her relatives were engaged in litigation over the Basa-Guidote estate. “Something is fishy here,” Angara said. “Something is not right. Mrs. Corona and her relatives, who are part of the BGEI, are in a legal battle involving the corporation’s estate. “The defense panel stopped short of saying that the reason the money was there was to protect it from an ongoing legal case between Mrs. Corona and her kin. The explanation of the defense lawyers raised more questions than answers, Angara said. On the other hand, Quimbo said the math doesn’t add up. “If the same money was used in buying the condos, then it would have left a large decrease in the amount,” he said. “But the PSBank records showed it was intact. There were no signs of big withdrawals. Angara said the Coronas have probably invented not only a recession-proof, inflation-beating investment instrument, but one that would give a yield high enough to buy condominiums without affecting the principal. “When it comes to multiplying assets, theirs is the greatest miracle since Jesus fed a multitude out of a single loaf of bread,” he said. The gospels of Matthew, Mark and John recount Jesus feeding five thousand in the desert with five loaves and two fish. Last Thursday, PSBank president Pascual Garcia III and Katipunan branch manager Annabelle Tiongson told the impeachment court that Corona had P36.7 million in time deposits under three accounts, which he withdrew and closed on Dec. 12, 2011, the day he was impeached. However, Corona’s lawyers said their client had to close the accounts because the money was not his but belonged to his wife’s company, the BGEI, which in 2001 earned P34 million after one of its properties was expropriated by the Manila city government. Quimbo said certain top officials of the Integrated Bar of the Philippines (IBP) have been consistently making pro-Corona statements. Quimbo said when 188 House members signed the impeachment complaint against Corona, IBP officials made it appear that it was an attack on the judiciary, not on Corona alone. First, the formidable INC announced a grand religious rally at the Luneta this coming Feb. 28., followed by his lonesome, the batangueno Arcrhbishop Arguelles of Lipa City, joining forces with a common battle cry “STOP IMPEACHMENT TRIAL”, for obvious reasons. However, about 4 hours ago, a whiff of fresh air comes from the Association of Major Religious Superiors of the Philippines (AMRSP), thru the CBCP website, urges cj corona to open his dollar accounts if he really has nothing to hide. Previously, many students of Catholic Schools publicly urged corona to disclose his dollar deposits if he still has INTEGRITY left in him. The nationwide move of the INC, if true, and other synphatizers, connote one thing – BASANG BASA NA ANG PAPEL NI CJ CORONA SA PAGKAKALABAS NG MGA LIMPAK-LIMPAK NIYANG YAMAN NA HINDI NAKAYANG PIGILAN NI INJUSTICE CUEVAS. percentagewise,how many of us filipinos being covered by this law? the ratio of those who works at government offices, politicos vs that in the private sector is far in difference as to its number.and among those in the government employees only those with higher positions so with these politicians (senators and congressmen) has the means to have dollar accounts. the foreign bank account secrecy law is designed for these corrupt lawmakers/government officials to conseal,ensure and safeguard what they have earned illegally. this is the only law that favors for those who stash and rob the treasury of the country. opening the said account of cj corona is like a pandora box wherein it would be a precedence in the future for these lawmaker be put into a situation if a case would be filed against them. surely, everything would be expose of the true value of their assets, specifically the monetary value of their dollar savings. 13 voted against opening the exposure of what is indeed into the dollar account of cj corona. they made used of the legality of the law but for the truth to expose the real truth is within the disclosure what is recorded into the bank account. these lawmakers surely made a fool out on us for these law only benefitted to them. only those with clean conscience would gladly accept to show if they indeed have dollar deposited account. who among the 10 senators who voted for disclosure would stand and say he would open himself to disclose his/her account? Anyone may answer. To convict Corona, it requires over 2/3 of 23 or 16 votes and nothing less. Who then are the sixteen senators most likely for conviction. more likely… Ok. Just a guess. I seriously doubt whether LAPID should be included in “the List”…! Very good Ms. Raissa for your research on this law. The way this law was crafted is that not even the SC can “look into, etc.” the deposit with the consent of the depositor’s consent. So, the law is cannot be cracked as crafted. Very clever indeed. But it doesn’t say anywhere it cannot be declared unconstitutional by the judicial or any court. If declared unconstitutional, then the law can crack wide open. Once done, the deposit can be “looked into, etc.,” would you agree? Had the Senate as impeachment court insisted to follow through, and discovered the CJ’s deposits, despite a TRO by the SC, would this SC had power over the Senate? Would there be a possible “appeal” to the SC for “grave abuse of discretion…amounting to lack or excess of jurisdiction”? Abuse of discretion could be committed but would it be “grave” considering the Senate as IC is also given power and jurisdiction? I know you are not a lawyer but your intelligence is as good as one. Many interpretation of the law comes down to common sense too, after the laws are considered. This piece maybe moot and academic (but not completely) as of now as far as the TRO is being obeyed but the trial is still ongoing. The Senate can still proceed to see the deposits if it really realizes it has a need for that. Manyy say a constitutional crisis would or may result. How would the SC enforce its TRO against the Senate? Both are equal branches of gov’t. Let CJ appeal. But his deposits are already revealed. Let the issue be threshed out with the SC. By that stage of the trial a verdict was already rendered most probably if the Senate went through finishing it. The SC would have 2 principal issues to consider: the alledged illegal acts of the Senate; and since the deposits are already already known, to declare the law unconstitutional in order to validate the looking into of the CJ’s deposit of his dollar accounts. But arriving at such a stage will need the good numbers of senators to not comply with the TRO. Unless they take a risk there is no accomplishment that can come out. I believe, as many also believe, many of the senators do not have that dedication to seek for truth. Thus, justice will not prevail in this with their relenting to the TRO. I find the law as bad as not being a law at all. Imagine SEC. 8 of this law prohibiting even judicial courts not to violate the absolute secrecy of the deposits. The one who crafted this law must have malice in his heart to have pushed this law into a living pariah for all of the country and the judicial system where everyone is “under” such a bad law. Not anymore ‘no one is above the law.’ Thank you Ms. Raissa for your good work. God bless and protect you and the family. “without the consent of the depositor”…sorry. President Aquino is correct in principle, filial to his executive duty in preaching the evils,lies and larceny of Corona to the students and the impoverish class of the nation. Where lies the respect on the highest magistrate of the land, preservation of moral character or demeaning acts of malfeasance? Corona by irresponsibly teaching his children the art of stealing and lying thru fraudulent transfer of unaffordable properties has destroyed their foundation for moral decency. The loss has disappointed their spirit to achieve any sense of higher purpose in life. Simple questions parents with moral values must ask while discussing with their children the merits of impeachment. 1. What kind of work do the children of Corona engage into that earns them bundles of money to buy very expensive real properties? 2. What kind of chief justice do we have refusing to reveal how much money he has In his bank accounts? Transparency is as simple as brushing teeth everyday. Corona must be hiding something is the plain clear answer could be! My heartfelt thanks to all who expanded my knowledge of financial accountability, dollar transactions, UITF, legal concepts etc. Raissa should have a special section here on understanding concepts of sorts. Legal and Banking domestic/International for dummies sort of. Ang gagaling ng mga teachers dito, ang aayos magpaliwanag. Hindi ka mahihiyang magtanong. Parang EDSA 1 dito, hindi madamot magshare ng knowledge at pangunawa. Salamat mga kapatid….hindi man tayo magtagumpay ang sarap na nakasama kayo. The glaring issue in this political exercise of impeachment is Ethics…or, the lack of it. It is hoped by this process of housecleaning that Ethics will eventually be a part of public office 24/7 from now on. Mr. Senate President, your honors, one very important question before this honorable impeachment tribunal is, by what standards should Renato Corona be judged? Of course, the New Code of Judicial Conduct for the Philippine Judiciary (2004), as I have been harping about in the past, is the book of standards by which Corona must be judged. Corona must be beyond reproach and must have absence of even an appearance of impropriety. This is already being tackled in open court (impeachment trial) at the Senate. In the court of public opinion it is being discussed as well (albeit with misconceptions). But, what is really the ethical standard…no, the question should be, how is Ethics being regarded and how is it being applied especially in public office? Ethics…or, appropriately, the lack of Ethics goes through a process called PEANUT BUTTER APPROACH wherein a wrongdoer spreads blame to others in order to somehow reduce (or, escape) accountability. This approach may have originated a long time ago but I believe the Peanut Butter Approach was perfected by none other than gloria macapagal arroyo. It led to the apathy of the masses in 2005 at the height of the “Hello, Garci” scandal and practically “exonerated” gloria resulting in her strong hold to the presidential throne. Gloria Macapagal Arroyo, misappropriating the words of Jesus Christ (let him without sin cast the first stone), has asked the people to look past her misdeeds and has portrayed herself as the victim rather than the perpetrator of high crimes and misdemeanors against the people. The strategy that Garcillano is apparently taking is the so-called “peanut butter approach.” In coming out with names of politicians who have also called him, he is trying to dispense the guilt hoping that those who might have been caught on the illegal wiretapped tapes talking to him would have less of the culpability. This tack is also what is being employed by gloria’s other saint, Renato Corona. His defense lawyers floated the idea that NON-disclosure of SALNs may be commonplace thus prompting media to spread the word: members of the HOR do it, Senators report incomplete SALN data, etc. In January of this year, even Teddyboy Locsin, the sly lawyer that he is, actually suggested in his morning radio program “Karambola” (DWIZ 882) to put lead House prosecutor Niel Tupas Jr. (or other House members) to the witness stand and ask him about SALNs. The NON-disclosure of SALNs is the norm even in the Legislative branch of government…and this can very well be presented and easily proved by defense counsel Serafin Cuevas. The “peanut butter defense” involves spreading the blame, and is usually, by its nature, non-sequitur , i.e., illogical. For instance, it usually sounds like this: “If I am to blame, he also should be blamed because….”.The latest version I’ve heard of that defense is typically non-sequitur but it also comes with a particular odious ad hominem flavor (I won’t dignify it by repeating it here). Mudslinging is commonplace with politicians, not Chief Justices. The Court he leads is considered the “weakest branch,” holding neither the power of the purse nor the might of the sword but armed only with the wisdom of its words and the moral sway of its conscience.For this reason, a justice is required to be of “proven competence, integrity, probity and independence.” Probity, that quality of having strong moral principles, honesty and decency, is fundamentally incompatible with slinging mud; on the other hand, probity is fundamentally compatible with slinging truth–even if, as it often does, the truth hurts. Ethics in public office is simply the widespread lack of it and, more often than not, a public servant spreads the blame of his unethical conduct. Lawyer Ted Te was able to say it all. The peanut butter approach in defense of a wrongdoing will not work. Corona impeachment as one of the housecleaning methods in government must fulfill its promise of ensuring the presence of Ethics in public office FROM NOW ON. Spreading ethical conduct in public office is good even a peanut butter approach to this is welcome. Talk about ethical behaviour and delicadeza and Corona. How can he coninue to work in the Supreme Court and be in the office with the other justices who will decide on his petition. 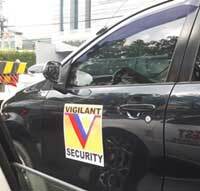 It is like Lucio Tan reporting for work in the SC or Ampataun to an RTC. When Corona meets with another justice in the building, do you think they only talk about the weather or Pacquiao? Sp[eaks volumes on what a CJ or justice should not be. Peanuts, one lingo connotes – easy. Some people do have experience Peanut allergy. If left untreated or in severe exposures, it could kill. For good measure, if PNoy is holding on to the Ethics Knife to spread the peanut butter, the scalawags in gov’t service would develop an allergic rash. Lo and behold, peanut allergic reactions would expose the undesirables in its ranks. Although corruption and the lack of Ethics in a public office is found everywhere, not only in the Phils. Ang diperensiya, garapalan at harapan na nagmumula sa pinakamataas na dating pangulo, at ngayon mula sa pinakapangyarihan na mahistrado ng pilipinas. Tama ang direksiyon ni PNoy, umpisahan sa pinaka mataas, pababa. Magiging halimbawa si R Corona, GMA, B Abalos, Garcia, Gatdula, Palparan, atbp. Pero masarap ang mani, lalu na sa kare-kare. How can a Republic Act (no. 6426 on this case) be approved on April 4, 1974 when Congress is already an extinct animal under Martial Law? The Bicameral congress was abolished by Marcos in 1973 and replaced by a unicameral congress called the National Assembly under parliamentary type of governance. do you mean the output law of “a unicameral congress called the National Assembly” is considered “Republic Act”? what i know was that it was called “Batas Pambansa” and not “republic act”. to cite an example is the “Anti-Bouncing Check Law” or BP #22. just wondering. With all due respect, it still doesn’t answer the question. We know that then President Marcos abolished Congress right after he declared martial law in 1972. The unicameral Congress, also known as the Interim Batasang Pambansa was only convened in 1978. So during the period September 1972 up to mid-1978, the country had no legislative body since it was Pres. Marcos who was the one issuing Presidential Decrees which also had the full force of law. So I’m also wondering how this Republic Act 6426 was approved in 1974 when Congress was no longer existing during that time? As I understand UITFs, a client purchases a number of shares or units of the mutual fund. A client does not deposit any money but instead buys a part of a “corporation” or mutual fund. This is the reason why SEC oversees mutual funds and not BSP. Whatever the “corporation” earns or looses in the course of time determines the value of the stock or unit, in their parlance NAV- net asset value. Since stocks or shares in corporations are not covered by any bank secrecy law, these mutual fund stocks should not be either. who are you to interpret the law? and a genuine love of country. and With a passion for the truth! And a most responsible element of the sovereign people. Corruption in our country will carry on even if we have a good , honest and decent leader like PNoy, unless there is something in our Constitution that will deter our corrupt leaders from perpetuating their evil deeds. We can unite and shout on top of our lungs to fight corruption but if there is no mechanism that is embedded in our Constitution to fight corruption then we will always fail. Why? Because a President with the help of Congress and the Supreme Court can cook up a law or tweak an existing law to protect them. This is why we should have a Jury System (similar to the Impeachment Trial proceeding employed by the Senator-Judges) that is rooted in our Constitution. Jury System will shift the real power in government from the privileged few to the people. It is the same Jury System that keeps developed countries like Australia, Canada, USA, UK and many more, stable and progressive. •	Create a Judiciary that is independent and strong but not all-powerful as proven in progressive and truly democratic countries in the world. Our organisations _ Philippine Jury Initiative (UK) and Katarungang Pansambayanan Inc have just launched an Online Petition to “PROTECT PNOY, THE FUTURE PRESIDENTS AND KEEP AN INDEPENDENT JUDICIARY”, so that PNoy can continue his fight against corruption. I hope you, Raissa and your friends will sign this petition. We need 10,000,000 signatures so the Members of Congress will take notice and hopefully amend Article VII Sec 4(3) of our 1987 Constitution. The link to this Online Petition is: http://www.change.org/petitions/to-the-filipino-people-and-members-of-congress. PLEASE SIGN. Let it be our gesture of love for our country and our step to a better Philippines. With Raissa’s help, we will succeed. and who are the justices of the supreme court to interpret the law? These laws apply to all of us dear. We have the responsibility to know and understand them. and who are the justices of the Supreme Court who dared depart from the interpretation of laws that uphold centuries of established moral and ethical values and instead adopted interpretation conveniently suiting and protecting the wrongdoings of its member and allowing its Sponsor to evade prosecution. When the Supreme Court chose the path of serving the interests of its chief and its sponsor to evade truth and prosecution, it has brought its majestic position down to the level of merely becoming a corrupt tool of its member who is no less than its chief. This Supreme Court’s supreme existence henceforth has become defined as an armor of corruption and for its chief and his interests a refuge of impunity. Ms. Raissa is not interpreting the law. Only the courts are given the power to interpret the law. She is merely providing us with a different perspective regarding this antiquated law (RA 6426) which I hopefully, will be amended soon in the interest of transparency and accountability as this law is being used as a convenient shield by corrupt politicians to hide their unexplained wealth beyond reach even by our courts of justice. Senator Osmeña has made mention of Unit Investment Trust Funds (UITFs) during his questioning of PS Bank’s president, though I was clueless as to the point that he was driving at. It is only now after reading Raissa’s article that I came to appreciate the good Senator’s line of questioning. Good job Ms. Raissa!!! Sen. Osmena forgot to lay the predicate. You can also ask PSBANK if Corona ever bought dollars. The act of purchasing dollars doesn’t touch on the secrecy of his dollar accounts because he would purchase dollars with pesos. 1. MERON BANG NADISKUBRE BAGONG PERA SI CORONA? B. ANONG NANGYARI, NANDOON PA BA O NAILABAS? C. KUNG NAWITHDRAW ASAN NA NGAYON? D. ANONG PALUSOT KUNG NASA PANGALAN NI CORONA? 2. MAGKANO NA LAHAT LAHAT ANG PERA AT ARI ARIAN NI CORONA? B. KUNG TSEKE, KANINONG TSEKE? 4. PAREHO PA RIN BA SA SALN YUNG MGA PERA AT ARI ARIAN NYA? A. DINEPOSITO BANG CASH O TSEKE? B. KANINONG TSEKE NAKAPANGALAN ANG NAGDEPOSITO? I hope that the “small lady” will bring the documents of the expropriation of the BGEI. I am sure that there is a complete records of this at the Office of the City Mayor of Manila and Possibly COA. THe check was already marked as evidence by the DEfence. Kaninong pangalan nakapangalan ang Check? saang account nadeposit ang check? paano napunta sa account the Thief Justice. I am sure that there is a board resolution in the opening of the account pwedeng isupena ang account na yon including the documents submitted when it was openned. normal bank requirement when a corporation is opening a bank account. paano inapprobahan ng city goverment ang pagbili na ayon sa mga basa eh hindi nila alam. again Atienza is pandak ally and Corona is Chief of staff. PAGING SMALL LADY SANA MAKUHA MO MGA DOKUMENTO. Correct, dapat may authority o board resolution galing BGEI board na para ideposito sa pangalan ni Thief Justice Corona yong P 36 Million na winiddraw sa Time deposit from PS bank nong day of Empeached dated December 12, 2011 base sa sinasabi ng Defense lawyer ni Corona ito raw ay pera ng BGEI. naku delikado posibleng sabihin ng defense na lahat ng mga properties na hindi na declare sa SALn ni Corona ay pag-aari ng ng BGEI o ng kamag-anak, ano kayo hilo mababaw na depensa yan hindi lahat puwedeng maloko. Take note. Coronas said the withdrawals from their bank accounts on the day of his impeachment was in the form of manager check. 1. To whom was the check paid to? Coronas or BGE? if the name of BGE does not show up in the check or new accounts or BGE does not own the money. In US law, the holder of the money is the owner. Verbal acknowledgement is hearsay or the Coronas have to testify. The trail of the check is documented proof. Investigation on those closed bank accounts could not be restricted by court because they are already in play. Money trail and ownership have to be established. If the account was changed during the course of the trial, then the incorporators of the corporation could be summoned. Mrs. Corona has to prove she is acting officially for the corporation governed by SEC rules because opening new bank account of a corporation is governed by law including the enlisting of ITR number. IRS could be involved because if interests were paid to the corporation before and were not reported by Mrs. Corona that was also tax evasion. If the checks were to the account of BGE, a defunct entity with no legal personality, how would someone open a bank account and deposit the proceeds of the time deposits. You need a secretary certificate from BGE to open an account. I think the checks were to payable to Corona but maybe until today, it is possible not encashed so there are no returned checks yet to PSB to trace where these are deposited. He could be planning to hold on these checks until after the impeachment trial is finished before the checks become stale around June, 2012. Then pwede na ibalik sa banking system safe from the prying eyes of the senate court. I just don’t understand why he did not do this with his other accounts. Borrowing from SC’s TRO which made the TRO permanent. Pare 2: Sigurado ka ha, Basta tentative nayan, wala ng baguhan. pare 1: Okay tentative na. Pnoy, in becoming President Identified that what will spur RP success is to meet head on the culture of impunity in government offices specifically vs Arroyo and company. If there will be a culture of accountability then people will be inspired by their leaders to better their lives and with an infectious effect contribute to the economy via less thievery on government funds, less factions less rivalries among turfs and more shared and focused activities towards growth and public service. This would require tough mindedness and grit. If this is my mindset, I’d rather have Pnoy’s psychological records than Corona and Gloria’s corrupt and scheming psychological makeup. Niel Tupas and company (Rudy Farinas, Miro Quimbo. Sonny Angara, Erin Tanada & Prosec) must have realized their inadequacies in meeting head on the powerful Corona. Despite this realization, they forged on. Day after day they were subjected to the most number of public ridicule any politician ever received from the brilliant and scholarly Defensor Santiago/Justice Cuevas tandem to the intellectual giant in commercial law that is Enrile. Despite this, they successfully showed a new reality never before since in Philippine politics-the obscene and shameless wealth accumulation ever by a Chief Justice and the breadth of a chief Justice machinations of the Supreme Court. This mindset of Niel Tupas and company indicates intestinal fortitude (tibay ng sikmura-buo ng loob). I’d rather be fumbling but with this mindset and psychological frame of mind than Corona’s smooth image but kleptocratic mindset. If Corona wants to shame Pnoy as one with mental problems and the prosecs as unschooled stupid group of fumblers, I’d rather be considered insanely mad even if fumbling to better my people than be considered mentally superior but full of deceptions,trickery and corruption. Maybe Corona and the bitter co. is asking the wrong person about Psychological records. They should ask a senator about it. HIndi puwedemg tanungin yung Manang Baliw kasi ang isang Baliw takot sa kapwa baliw. Hanggang ngayon pag inisip ko lang, punong puno ako ng kaba at takot pag I imagine kung nagkatuluyan si BR (baliw renato) at BDS (baliw dakila ng senado). siguro binisita na talaga tayo ng nga Martian sa kabaliwan ng pinagsamang Senado at SC. Hindi kaya may lihim na pagtingin ang BDS kay BR? @Sta Ana & @jimmycoz, tigilan nyo na tong kabaliwan na to, pati akong siryosong tao napahalo sa usapan nyo. Which one? The one who claimed to be a member of Mensa, but never was? Watif Manila, I agree with what you said …. Ms. Raissa Robles, keep using your God given talent to bring out the truth about the thief justice. On Friday, February 17th, 2012, R Corona, in response to PNoy’s speech delivered in Filipino at a “town hall meeting” with students from various universities and colleges at La Consolacion College near Malacañang, ‘challenged President Benigno Aquino III to make public his statement of assets, liabilities and net worth (SALN), bank and psychological records’. “Mayroon po tayong obligasyon na ipakita sa taong bayan na maayos ang ating pag-iisip [We have an obligation to the people to show our state of mind],” Corona said in a statement to media, a day after Aquino raised anew doubts on Corona’s credibility as Chief Justice. I thought it is timely to recall Raïssa’s journalistic work pieces on this ‘psychological records‘ that R Corona so pathetically resurrected recently as his ‘nagging issue‘ so desperate to divert public attention to PNoy. Be aware, R Corona’s ploy is to appeal to the uninformed, and carefree mentality (no pun intended) of some of our fellow countrymen on intriguing, petty & concocted issues – such as ‘psychological records‘ allegedly of PNoy. Relevant news pieces written by Raïssa. – Is Senator Noynoy Aquino really “Abnoy”? Please make sure you finish this article. The Chief Justice is taking the public for fools. The breadth of his possessions is not the only issue, it is also the fact that he failed to include them in his SALNs. Not only once, but repeatedly over the years, despite those documents being sworn statements, and despite his own court having ruled in at least two instances that lower-level government bureaucrats deserved jail time for even minor discrepancies and omissions in their SALNs. The only time Corona’s multimillion-peso deposits and posh properties became relevant to the question of his fitness for his august office was when his own SALNs showed he had a tendency to hide, shade over and fudge the extent of his properties. Where did you you read that? I can guarantee you that writer did not present any documented medical proof because medical term Autism was named in nineties. Check WEB MD history of Autism. Autism per se is congenital neurological disorder that it is impossible to attain the educational level of PNoy. The latest Canadian study in 2008 of Autism, only 4% progressed to adulthood at best achieving controlled volunteer work in a part time setting. Scientifically that author was already disproven. I am not saying PNoy is autistic but there are exceptional persons with autism (PWA) like Temple Grandin who received her PH.D in Animal Husbandry and who designed over 50% of cattle handling facilities in the U.S. But then I have yet to know of a PWA who was arrested and charged with high crimes or impeached, or have been dishonest with his SALNs. Having read this, R Corona should be the one who must undergo a psychological examination. kundi lang mahistrado, matagal na siyang pinawalang silbi sa gobyerno. dahil nga may ‘karunungan’ kuno, kaya pinagpapasensiyahan pa ng taong bayan. Yes. Corona must undergo neuro-psycho exam. There are scientific evidence that the brains of criminal-recidivist have unique patterns according to research done on prisoners. Pero baka lumabas pathological liar siya but he may be able to lie also through the test and ang lumabas sa brain scan sobra liit ng structure kaya siya di maka distuingish ng tama o mali. Dapat hamunin ni PNoy sabay sila mag-undergo nitong test na ito. CORONA is absolutely suffering from Narcissistic Personality Disorder. He exhibits all signs and symptoms related to this disorder. His frequent incoherent verbose contradictory alibis are proofs of his manifestation. His refusal to take a leave during trial is the first symptom of this disorder, delusion of grandeur. Although Grandin has been portrayed the poster child of Autism, hers is labelled as high functioning autism, so far she is only one tagged with that diagnosis.Some prominent neurologists are doubtful if she really had autism per se or a variant of Asperger syndrome related to minor form of autism. Autism is developmental neurological disorder affecting the biological and chemical properties of the brain. If you look at Grandin biography, her history begins that she had brain damage and diagnosed with “autism” in 1950 while she was born in 1947. Actually she had symptoms similar to autism in her infancy but diagnosis of autism was belatedly attributed because of her signs and symptoms. Her brain damage could be traumatic or iatrogenic, no other descriptive medical findings exist on her biography from birth to 1950 which was suspicious historically on a medical standpoint. The movie on her life made her more heroic. Some say vaccines cause autism but few latest studies disprove it but others believe it. Probably her brain damage was viral like equine virus affecting the brain or vaccine related brain injury. With her adulthood achievement despite her childhood illnessmaking her the poster child put autism in the forefront of medical breakthroughs. Autism is still controversial in many aspects especially causation since its only two decades that it has garnered significant medical attention. Another thing is AUtism is neurological disorder. APuro na lang Autism, Altruism na lang. Sa ganang aking opinion, iyan (Altruism) ang sakit o kalakasan ni PNoy. Pamana ng Bayaning Ama at pabuya ng yumaong Presidenteng Ina. Altruism is a concern for the welfare of others. It is a traditional virtue in many cultures, and a core aspect of various religious traditions, though the concept of ‘others’ toward whom concern should be directed can vary among cultures and religions. Altruism is the opposite of selfishness. Altruism can be distinguished from feelings of duty and loyalty. Altruism is a motivation to provide something of value to a party who must be anyone but the self, while duty focuses on a moral obligation towards a specific individual (for example, a god, a king), or collective (for example, a government). Pure altruism consists of sacrificing something for someone other than the self (e.g. sacrificing time, energy or possessions) with no expectation of any compensation or benefits, either direct, or indirect (for instance from recognition of the giving). re APuro na lang Autism, Altruism na lang. Mate, the writer is surely a typical paid mudslinger. Look at the age he mentioned which was also highlighted by Raissa. PNoy was three and saved by Kris from a Doberman’s attack? – that time, Kris wasn’t even conceived in Pres Cory’s womb for goodness sake! His writing was not only illogical. It’s stupid and the guy is big moron not to even verify the birthdays of the siblings. Sabi nga ng matatanda sa amin eh..kumakana na rin lang eh, tatanga tanga pa.. .. I also found out that he eventually became a big laughing stock in the blog sphere and journo world because of this article.This Butch Del Castillo is having the same feather as Ninez Cacho-Olivarez – they flock together; Contract writers. Comparing to a mobile account, they are prepaids. And you know what a prepaid means – CHEAP! Hahaha this kind of Butch del Cuchillo is very common in Philippine journalism. They are like askals, they survive on crumbs. they have a common denominator, francisco tatad! same handler, but different asking fees. Yeah, mate. Tatad is another prepaid with 3G enabled. He must be more expensive. Nice one, the 3Gs of a political bogey man! And his advertising slogan, ‘Strong and Clear Signal on any Hotspots or Wi-Fi on Demand’. Tapos duon sa fine print (6 or 7 point in size). Only on designate coverage areas. hahh? Where else máte, here at Raïssa Robles with a dot com. Check the weblink again up above. The story title that Raïssa chose was a subtle presentation that there’s none, the accusation that PNoy was or is ‘Autistic’ is a MISNOMER. No proof, no medical nor psycho’s evidence nor credible official paper in the public domain nor stored somewhere. nada, ‘wala’, ‘awan’, ‘maed’, ‘alaa’. The man is a GENTLEMAN! ibang klase kasi, hindi babaero, hindi sugalero, hindi bolero. hindi palikero. as it is. what you see, is what you get out of Noy. Iba lang ang ‘swagger’ kung maglakad, iba rin kung umasta’. huwag kalilimutan ng taong bayan, Noy nearly died years ago, when he was ambushed, some of his bodyguards got killed, he has the effects left in his body of the wounds that nearly killed him. I may sound bias or ‘all praise’. pero usisain ninyong mabuti. mahilig lang sa sigarilyo – tulad ko. LOL! Salamat mel sa pagkakita mo sa potential at weaknesses ng ating PNoy. Sasabihin na lang abno kasi nag gawa ng matino. ba na talaga ngayon, ang tiwali ang siyang ipupuri. @Mel–thanks for this piece- Pnoy is definitely not autistic. He has a good heart, good insights and has good established interpersonal relationships with his siblings, friends, colleagues and family. Ang makinarya at propagandists lamang ni Corona would stoop to this level na mag-akusa na there’s something mentally wrong with Pnoy. Here is a better word, DEVIANT. halimbawa, sa mga kalalakihan kung may isa na santo at walang bisyo (chickboy, sugalero) gaya ng kararamihan sa tropa, sususpetsahin mong charing o silahis. di bah? 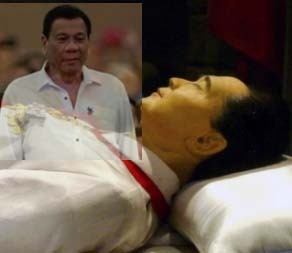 pero kasama mo pa rin siya dahil, naiinggit ka rin dahil may prinsipyo siya, di bah? Ginoo si Noy. May konsensiya siya. Malaking impluwensiya ang yumao niyang ina, at napakataas ang respeto niya sa mga kababaihan dahil marami siyang kapatid na babae. parang ‘do not do unto others, what you don’t want others to do unto your sisters‘. kung ako lang, tatanawin kong ‘KUYA NG BAYAN’ si Noy. Titignan muna niya ang kapakanan ng pamilya o ng bansa niya. Gagawin niya ang makakabuti sa bayan. O siya, tama na ang papuri, baka sabihin na miyembro ako ng yellow army at saradong maka PNOY. OO saradong maka PINOY! dakal salamat keka yu ngan. At maalala ko lang, si PNOY ay talagang hindi kunsintidor dahil noong panahon na may relasyon si Kris kay Joey Marquez, hindi niya kinausap si Kris ng ilang taon.ito ay sinabi mismo ni Kris on national TV. …and mahilig din siya sa practical shooting using Glock just like me. 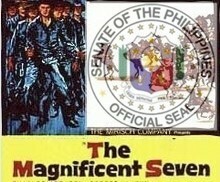 For Corona to saccumb and engaged Pnoy in a words of war only unmasked himself what kind of man he is. It only reinforces what has been laid among the evidences that he is not a man of trust worthiness, integrity and propriety to occupy as chief of the highest court of the land. related to the maintenance of integrity and promotion of confidence in the judiciary. Judicial ethics cases decided before the adoption of this new Code were often decided on the grounds that improper acts tended to dilute public confidence in the integrity and impartiality of the courts. The new Code of Judicial Conduct significantly expands the provisions respecting the avoidance of impropriety. The new provisions on propriety complement and at times reiterate, principles also stated in the other canons, especially those on independence and integrity. The High Court held in a number of instances that acts done by a judge which are not illegal may still violate the Code of Judicial Ethics.Some examples include censure of a judge who heard cases on a day when he was supposed to be on official leave,and of another judge who heard a motion while on vacation, in his room dressed in a polo jacket. In another case, the Court stated that even if there was no clear evidence of sexual congress between a judge and one of his subordinates, photos showing the two of them coming out of a hotel together was enough to give rise to the appearance of impropriety that the Code strongly warns against. Under Philippine law, even a joking remark made by a judge to a litigant suggesting that the litigant prove he harbored no ill feelings towards the judge was improper,as was the admonition by a judge, after conducting a marriage ceremony, that the bride and groom should sexually satisfy each other so that they will not go astray. In the United States, the judge’s own perception of motives is not relevant when considering the appearance of impropriety.For example, in one case, a Chief Judge’s racially insensitive remarks in a newspaper created an appearance of impropriety even though the judge alleged those remarks had been misinterpreted and did not reflect the judge’s personal beliefs. Because the comments “significantly eroded his ability to work effectively with all segments of the community in administering the courts,” the court removed the Chief Judge from his position. impropriety. In Vidal v. Dojillo, the Court gave a reprimand with warning to Judge Dojillo for sitting beside the counsel for Dojillo’s brother in the hearing of an election protest filed by the latter. The Court was not convinced by Dojillo’s defense that he intended only to give moral support. As a judge, Dojillo should have known family concerns are only secondary to preserving the integrity of the judiciary as a whole. While judges are only human, their acceptance of the judicial position means that more is expected from them than from ordinary citizens, as their acts, both public and private, color the public’s perception of the judiciary as a whole. The New Code of Judicial Conduct requires judges to ensure not only that their conduct is above reproach, but also that it is perceived to be so by a reasonable observer. A judicial officer is subject to scrutiny for both public and private conduct. Such scrutiny is an unavoidable consequence of occupying a judicial position.Judges are thus held liable for acts that, if committed by any other person would not necessarily be deemed improper, including the use of intemperate language and succumbing to states of inebriation during parties. temperance and respect for the law and for others. Thus, the Supreme Court rebuked judges who made sexually suggestive advances to women, including inviting ladies to go with the judge and his companions to the beach,writing letters asking a married woman to come to the judge’s sala after five o’clock in the evening, and assigning a female stenographer to the judge’s chambers.A judge was similarly disciplined for confronting a former boyfriend and his female companion in a restaurant, and giving false and misleading information to the police. association and assembly, but in exercising such rights, they shall always conduct themselves in such a manner as to preserve the dignity of the judicial office and the impartiality and independence of the Judiciary. While judges are not expected to live a hermit-like existence or cease functioning as citizens of the Republic, they should remember that they do not disrobe themselves of their judicial office upon leaving their salas. In the exercise of their civil liberties, they should be circumspect and ever mindful that their continuing commitment to upholding the judiciary and its values places upon them certain implied restraints to their freedom. A judge was admonished for the appearance of engaging in partisan politics when he participated in a political rally sponsored by one party, even though he only explained the mechanics of block voting to the audience. The use of expletives is frowned upon by the Supreme Court. The court reprimanded a judge who used expletives like “putris” and “putang ina,” even thought they were not directed to any particular individual. In another case, the court found that the judge displayed unbecoming behavior by sarcastically commenting upon a complainant’s ability to read English and using phrases such as “moronic attitude,” “stupid,” and “putang inamo” to describe the complainant. This section of the New Code of Judicial Conduct should be read in conjunction with Section 7 of the Republic Act 6713, which prohibits certain personal fiduciary and financial conflicts. “[A] judge shall refrain from financial and business dealings that tend to reflect adversely on the court’s impartiality, interfere with the proper performance of judicial activities, or increase involvement with lawyers or persons likely to come before the court.”When a judge, along with two other people, acted as real estate agents for the sale of a parcel of land for which he agreed to give a commission of P100,000 to each of his companions, and after the transaction was completed only gave the complainants P25,000 each, the high Court held that the judge violated the section of the prior Code of Judicial Conduct. mutual funds because a holder of such funds is not considered to have a financial interest in the underlying stocks in the fund. SECTION 13. Judges and members of their families shall neither ask for nor accept, any gift, bequest, loan or favor in relation to anything done or to be done or omitted to be done by him or her in connection with the performance of judicial duties. Boy, it seems the senator-judges (and the prosecutors) missed this novel interpretation of the FCDU law! I think it’s brilliant. I’m glad I discovered your blog, Ms Robles. More power. Sana tapusin na ng Prosecution ang presentation nila. For me, enough na for conviction ang article 2 re SALN issue. Excited na ako marinig paano dedepensahan ni Corona ang milyones na properties at pera sa bangko na hindi niya isiniwalat sa “sinumpaan” niyang SALN. Kung ma-acquit siya, hindi constitutional crisis kundi “JUSTICE CRISIS” ang mangyayari sa Pilipinas dahil lahat ng nagsinungaling at magsisinungaling pa sa mga SALN nila eh ituturo ang desisyon kay Corona bilang depensa. Hindi kailangang maging abogado o senador o mayaman o edukado para malaman na nagsinungaling si Corona sa SALN niya. Basta matino at parehas ang pag-iisip ng isang tao ay hindi pwedeng ikaila na lumabag si Corona sa batas na dapat ay siya ang maging huwaran sa pagpapatupad. Akala ko ba CJ haharapin mo ang laban na ito? Na wala kang kinakatakutan? Bakit hindi mo pabuksan ngayon ang foreign currency bank accounts mo at ng magkaalaman na? Kung wala kang itinatago, isang napakalaking kahihiyan nito kay PNoy. Pagkakataon mo na na ipahiya ang Pangulo kung totoong malinis ang konsensya mo. At pwede mo na ring ipanawagan na magbitiw siya sa pwesto. Senator Judge Osmena go on …..pursue your line of questioning and please do expound your presentation linking your question to the direction you are taking. They are valuable. Raissa, you are right. Both of you are on the same line of thinking. You outlined and presented the fine distinctions. These are tricky fine provisions. We sense Osmena is going to extract the information and in so doing, stumble and expose evidences. You are so penetrating in dissecting the thin line of deposit, the transient of such deposit to the other banking instruments and the result… the end result of a transformed mode of transaction. Nakakakiliti…following your theory …brings about the challenge of splitting phrases and re+reading the context of the provisions. Parang ….it is there but not yet. I think the law was drafted in such a way that it could stand by itself but eventually overshadows some essential and vital elements. It is a trick and serves those who have the intention to profit from it. The trick was on SCourt justices, on the Senate-Judges (except Osmena) and the prosecution. The defense?… well, they would not bother. Raissa, your discerning eyes exposed the tricks underneath the shadows and deceptions disguise as of provisions of law. They intentionally did not define it. Read the INQUIRER article regarding the BGEI struggle between his wife and her relatives. Every corner of the Issue, the Thief Justice is there. Lalo na ang negotiations with Atienza the former Mayor of Manila. 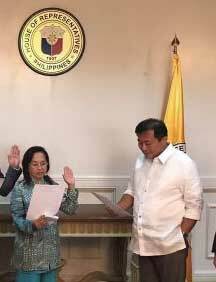 1- If there is no board resolution authorising MR. Corona to negotiate with the City government of Manila represented by Atienza or authorized representative paano nagawa ng mga Corona na maibenta? 2- Atienza was a very close ally of Pandak and Corona is Chief of Staff it will do the trick. but hard evidence is required. GANYAN KATINDI ANG UTAK NI CORONA PAREHAS NA PAREHAS NI PANDAK AND JOSE PIDAL. KAYA AYUN DI PA MAILIBING LIBING. SI MARCOS BA NAILIBING NA? CORONA MAGPAKATOTOO KA BAWASAN ANG PAGSISINUNGALING BAKA MAGAYA KA SA MGA NABANGGIT. So we have all these things with Corona seeming too powerful over all things. Sa SC dalawa lang ang nagdidissent pero wala rin. So papano na tayo, ganon na lang. I reallly feel na hindi kaya ng bayan si corona, he’s just the most powerful guy around. Look at his lawyers, the nerve to accuse the Impeachment Court na full of bribe-able wimpy politicians and they got away with it. Nag alma ba, nagsisigaw ba si Defensor ng harap harapang akusahan silang puwedeng bayaran? (Samantalang sa boses lang ni Atty Arthur Lim ng Prosec,sabi nya wala kang respecto huwag mo akong bastusin,ayoko ng boses mo, at ikaw Tupas huwag mo kaming insultohin sa kawalan mo ng kaalaman sa procedures, yung pagiging bobo mo nakakainsulto sa aming matatalino) Ano ang sagot nila mula kay enrile hanggang kay recto-oo Corona tama kayo me jurisdiction sa amin yung SC. Isa pang sagot nila is taken from Honasan but this time threatening the Prosec na mapapahamak. So kung hindi pala umapela si Pnoy sa House na iimpeach si corona at kung hindi nagimpeachment, sabit pala talaga yung program of government natin. Ngayon lang natin nasukat yung extent ng lakas at at breadth ni GLOCOR Sindikato. Bale, doom na pala talaga from the start yung boto nating magbago ang kalakaran ng gobyerno. Imposible nag malinis na kalakaran. Eh kitamg kita mo ngayon yung bagsik ng sindikato ng GLOCOR-sabit ka pag binangga mo, kaya pala pati si Ping ganon ganon na lang numg araw kung maasar kay Gloria noon, buti hindi siya dinale. Ngayon the SC had the Impeachment Court,by the balls, pulpol pala yung yabang ni enrile at Defensor noon na “we are the sole trier and decider of (letseng) Impeachment.” Ngayon etong si (so young and so corr-ona) Jimeno, biglang nagkalakas ng loob na takutin yung nga prosec na makukulong. Para bang sinasabi ni corona na “eh ano ngayon me reklamo, kaya nyo ba kami?” Makinig sa radyo parang pinahahalagahan pa ang posisyon ng pagnanakaw sa bayan under the guise of protecting Corona’s rights.Manood ka ng TV, puro mga alyado ni corona ang nagsasalita, nabili sigurio yung blocktime (sa dami ba naman ng pera, ano pa ang hindi nya kayang bilhin). Miski si Pinoy, hanggang reklamo lang sa media sabay buwelta naman si corona na nagsesermon pa at parang nagsasabing Bobo tumigil ka. Saan ka naman nakakita ng ang linaw na nagkasala sa bayan, kulang nalang na kutusan yung Pangulong hinalal natin. Bilang mamamayan, saan tayo tatakbo kung hindi siya kaya ni Pinoy, yung Senado sana, pulpol pala, yung SC hawak nya sa bayag, media nanginginig sa kanya, Sa House, sasalubunguin ni JImeno at Esguerra ng sandamukal na kaso. Sa simbahang Katoliko, sabi ni Bishop Oscar cruz, abusado si Pinoy, sa mga Universities sabi ni Fr Bernas ng Ateneo tama ang Supreme Court puwedeng pakialaman yung Impeachment Court SA San Beda Law si Fr Aquno sabi tama si corona. Sa Inquirer at philstar hindi makasingit magkomento at pinutakte ng makakorona. Saan ka nakakita ng makacorona na kahit dito (si @truth_seeker) hinahamon pa tayong sige nga magrally kayo kung hindi kayo langawin. tsk! tsk! tsk! totoo ang sinabi mo. kahit papano, kuha pa rin natin sa people power. kahit lousy man pakinggan, iyon lang talaga ang pag-asa natin. at saka, hindi natin kalaban ang presidente katulad ng marcos noon at panay mga bata na ngayon ang mga general. mag-rally sa harapan ng SC araw-araw! @Isderhope 4RP—Tama at sang ayon ako sa iyong mga tinuran. Nakakapesteng panoorin ang mga Red shirts na nagra-rally para kay Corona. Kapag di ma-impeach itong Thief Justice it’s time for another people power. Hay naku kaawa-awang Inang Bayan. Another provision that has limiting effect on the coverage of the law is Section 2 which excludes ” those which are required by the Central Bank to be surrendered in accordance with the provisions of Republic Act Numbered two hundred sixty-five (Now Rep. Act No. 7653) from its coverage. At the time the law was amended almost all foreign currency receipts of Philippine residents are required to be surrendered e.g. earnings and receipt from trades. Only certain types of invisibles, like gifts, donation are not required to be surrendered. When I was with the bank (not PSB) 3 decades ago, we used to require a copy of by-laws and board resolution authorizing to open a bank account with its authorized signatories, whenever a corporation opens an account. The account always bears two counter-signatures. We had to compare the similarity of the signatures between the bank’s specimen signature cards and the signatures on the board resolution and by-laws before authenticating it. During that time, second endorsement was accepted but in recent years I was made to understand that second endorsement is no longer allowed and accepted. The Manila government certainly knew that Mrs. Corona was not Basa Guidote Enterprises. By following the propriety of the transaction, the property since it was owned by BGE, not Mrs. Corona, the proceeds of the expropriations would therefore be in the name of BGE. If BGE was the payee of the P34M check it follows that the said check should have been deposited to BGE’s account (for payee’s account only) where drawings would be in accordance with the resolution on bank’s file. The resolution normally specifies the maximum amount that can be withdrawn by the authorized signatories. Exceeding it, requires a special board resolution. How the P34M expropriations proceeds from the property owned by BGE, ended up in the personal account of CJ Renato Corona boggles the mind. Perhaps the Central Bank or the PSBank’s auditor has a report on this irregularity, be it PEP or not. How she was awarded and not the owner-BGE is for us to ask the Manila government. Panic? Panic as to what would be declared as the legitimate source? “Not only Basa, but we will also prove that the Chief Justice had other means where he gets his decent income,” Quicho said. With apology if the bank procedure is obsolete or if this was already posited here. Tama po ba ang pagka-intindi ko dito, na kapag dollar deposits, hindi pwede i-reveal/ disclose unless with authorization ng concerned depositor, o kung ito ay investments , ok pabuksan ng korte, partikular sa isang impeachment proccedings? So, what’s the prosecutors waiting for ? At ipa-summons na si CJ para magpaliwanag hinggil dito, nang makita na ang katotohanan ! Dear Raissa, I earnestly hope that with your factual research and the intelligent comments of my illustruous colleagues, as well as the dissenting opinions of associate justices Carpio & Sereno, the valiant prosecutors will find a way to go around the repeated rulings of presiding judge enrile that no subpoena of any kind will be allowed by him if they pertain to dollar deposits due to the supreme court’s TRO. The TRO stands like the once formidable Rock of Gibraltar, the gateway to the meditterean sea, that the British Empire effectively used to block the entry of enemy wooden warships. There’s no way at present that we can have a glimpse of the dollar accounts so effectively hidden by cj corona thru his comrades at the SC. However, we are indeed very lucky that some senator-judges, in search of the truth, were able to elicit under oath from responsible officials of PSB & BPI, the huge and undeclared peso deposits of the coronas, particularly the sudden and simulteneous pre-termination of 3 time deposit accounts amounting to more than P36M on Dec. 12, 2011, the date of impeachment. We now have a clear picture of the magnitude of cj corona’s wrongdoings based on documented facts and testimonies. All we have to do is wait for more evidences and the much-awaited verdict. We already know now that cj corona is not morally fit to continue to head the highest tribunal of the land. well am expecting “small girls” from bpi, bdo, metrobank etc. leaving photocopies of corona dollars (investments not deposits) on the front doors of the senate.. may their conscience move them to do just that. Mabuhay ka pilipina, ikinararangal kita. These dollar account data can come out as weakileaks. The web would welcome them very much.